Do you need to file incoming phone messages for your colleague or boss? Download this Phone Message Template in Excel and get your polished phone message slip that will impress the receiver in minutes! 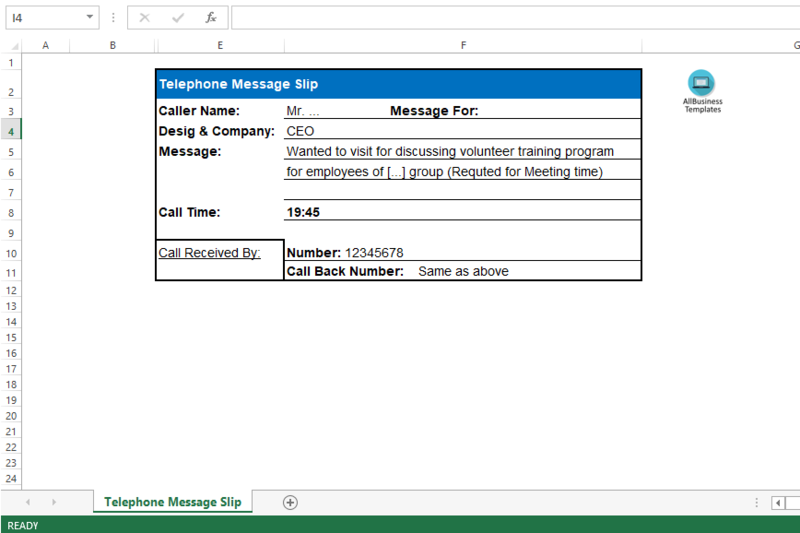 This telephone message slip as an Excel spreadsheet can be used to register incoming phone calls in a professional way. Our templates have ways to grab your readers’ attention. Every other essential piece of your document is covered. After downloading and filling in the blanks, you can customize every detail and appearance of your excel telephone message slip and finish in minutes. Print out your Phone Message Template Excel spreadsheet now!